Communication between the doctor and patient is critical: How can you encourage your loved one? Of course, this is something we have touched on previously. What do you do when Dad isn’t following doctor’s orders? The caregiver not only deals with extreme stress here, but parental discord, family disruption, and many other adverse effects. Elders can be extremely stubborn and when it’s the adult child doing the caregiving, they can often get walked on. Now, some elderly parents follow doctor’s advice without issues and are more than happy to listen to their adult child. At the same time, some are irritable and push many loved ones away. Because of this, there is more risk of the elderly parent refusing to follow medical orders. This puts their life expectancy at an all-time low. It certainly doesn’t help improve the quality of their life either. So, what is the caregiver to do when they are at their wits end and nothing seems to be going right? If you carefully plan how you communicate to your loved one you can encourage them to follow doctor’s orders like they’re supposed to. While you don’t want to say that their choices might take their life, you do need to make it clear that the doctor established a health care treatment plan for a reason. If your parent is suffering from dementia, the process of getting them to follow their plan might be a little more difficult, but it isn’t impossible. Allow these tips to be your guide and hopefully, they will prove to be very useful to you. So, when mom or dad won’t accept help or follow the medical orders given, there are ways you can intervene in a healthy and balanced way! If your parent is competent there isn’t much you can do other than to listen to them and attempt to encourage them to do the right thing for their own well-being. You can request to have tests down to check for signs of dementia and other cognitive decline. If a cognitive problem is discovered, you might gain ore authority in regards to improving your parents’ quality of life and extending that life. 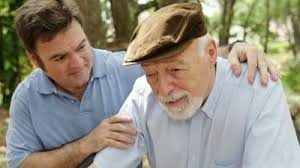 Don’t push dad to hard, but gently remind him his provider is there to help him and make sure he lives a productive and healthy life for as long as he has. Remind him of what is important! Be patient and understanding, no matter how hard it might be. Offer options for your dad to choose from, but make sure each option guarantees he will still be following doctor’s orders whether he realizes it or not. This keeps the peace! Accept your own limitations and accept what you cannot change. You can direct your dad to do the right thing, but ultimately it’s up to him. Resign yourself to what you cannot change! Just remember it is normal for you to encounter emotions of helplessness, frustration, anger, resentment and more. A parent with early stage dementia or another cognitive issue is very hard to deal with and you can only do so much. Sometimes taking a break might be helpful to getting dad to follow medical instructions too! Don’t give up, and start recognizing those parental triggers that lead you to feel lost and even bitter! Remember to recognize your own limitations and know when to take that necessary breather!